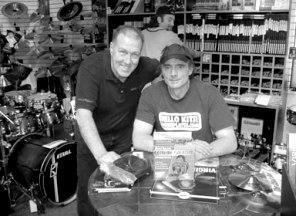 Kevin Alexander is the CEO of TC-Helicon vocal pedals are the world's leader in vocal processing products for singers. TC-Helicon manufactures vocal pedals for singers, the MP-75 microphone and rack mounted systems that are used all over the world by singer's that know where to find the best vocal pedals. Scott Rabb is the world's leading retailer of vocal health products. Learn more about what it takes to run the world's largest operation for vocal health. Dave Pearlman builds custom microphones for the studio. Enjoy this discussion regarding his process and views on recording microphones. Bob Heil is an American sound and radio engineer most well known for creating the template for modern rock sound systems. He founded the company Heil Sound in 1966, which went on to create unique touring sound systems for bands such as The Grateful Dead and The Who. He invented the Heil Talk Box in 1973, which was frequently used by musicians such as Peter Frampton, Joe Walsh and Richie Sambora, and is still in use today. Heil has been an innovator in the field of amateur radio, manufacturing microphones and satellite dishes for broadcasters and live sound engineers. In the late 1980s Heil Sound became one of the first American companies to create and install Home Theaters, and Heil has lectured at major electronic conventions and taught classes at various institutions. He has won multiple awards and honors, and in 2007 he was to be invited to exhibit at the Rock and Roll Hall of Fame. Enjoy this exclusive interview from TMV World. Robert Thayer Sataloff, MD, DMA, FACS is the Executive director of The Voice Foundation. The World's leading association for research regarding the human voice. He is also professor and chair, at the Department of Otolaryngology – Head and Neck Surgery and senior associate dean for clinical academic specialties, Drexel University College of Medicine. He is also adjunct professor in the Departments of Otolaryngology – Head and Neck Surgery at Thomas Jefferson University, the University of Pennsylvania and Temple University, and is on the faculty of the Academy of Vocal Arts. He served as conductor of the Thomas Jefferson University Choir for nearly four decades. Robert Lunte is the owner founder of the The Vocalist Studio International www.TheVocalistStudio.com, an Internationally recognized voice training school for extreme singing vocal techniques and advanced vocal instruction. Robert is also the author and producer of the critically acclaimed vocal instruction training system, “The Four Pillars of Singing”. TVS techniques are shared around the world by voice teachers as part of the TVS International Certified Instructor Program, which is one of the fastest growing vocal organizations of highly trained voice coaches in the world today. Robert is also the founder of The Modern Vocalist World www.TheModernVocalistWorld.com, the #1 online resource for vocal education and networking on the internet. This download include four separate interviews of Robert Lunte. 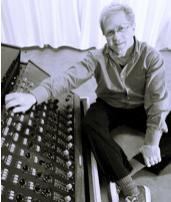 John Gresko is the founder of Direct Sound and inventor of Extreme Isolation Headphones. The best isolation headphones available to singers in the world. 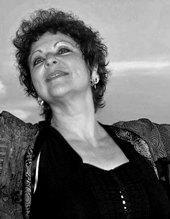 With a teaching career that spans nearly four decades, Jeannie Deva is an international celebrity voice and performance coach, published author, clinician, recording studio vocal producer, trainer of voice teachers and originator of The Deva Method® - Complete Voice Training for Stage and Studio. As a graduate from Berklee College of Music in 1975 with a degree in Composition and Arranging, Jeannie assisted in establishing the college's voice department and later became President of Berklee's Alumni Association for ten-years. Voice teachers around the world base their teaching on Ms Deva's method from her published books and CDs. She is featured on the acclaimed video The Vocalist's Guide to Fitness, Health and Musicianship by Internationally respected music educator Julie Lyonn Lieberman and distributed by Hal Leonard. 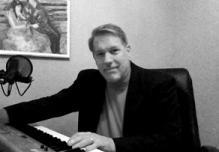 Robert Edwin has gained international recognition as a singer, songwriter, teacher, and author. He has sung Bach cantatas in church cathedrals and rock songs in Greenwich Village, New York coffeehouses, recorded for Avant Garde and Fortress Records, and toured extensively throughout the United States and abroad. He has performed in New York City’s Carnegie Hall, Town Hall, and Radio City Music Hall, and has appeared with such outstanding artists as opera star Jerome Hines, jazz legend Duke Ellington, and famed actor/director Ossie Davis. His TV and radio credits include several NBC Christmas specials as well as commercials for everything from politicians to hot dogs. His CDs of original songs (Robert Edwin-Christian Songs and, More to Life-Robert Edwin Sings Songs by Crosby & Edwin) are available at www.cdbaby.com . Robert Edwin has served on the adjunct voice faculties of the University of Michigan, the New Jersey School of the Arts, Burlington County College (NJ), and continues to serve on the Applied Music Staff of Camden County College (NJ). He is a frequent faculty member of the Voice Foundation’s Annual Symposium: Care of the Professional Voice. A member of the prestigious American Academy of Teachers of Singing (AATS), he has led master classes and workshops in the United States, Canada, the Bahamas, and Australia. Mr. Edwin is a member and a past Secretary/Treasurer of the National Association of Teachers of Singing (NATS). His column, "The Bach to Rock Connection" (1985-2002), was the first and only one in the NATS Bulletin (subsequently the NATS Journal) dedicated to CCM ("nonclassical") voice pedagogy. He continues to serve as an Associate Editor of the Journal of Singing for the "Popular Song and Music Theater" column. 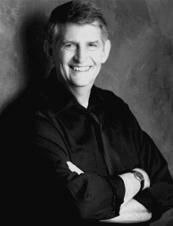 From 1996 to 1999 he also served as a Contributing Editor for VocalEase, a magazine for choral and choir directors. Robert Edwin taught for over ten years in New York City under the aegis of the Helena W. Monbo Studio, a studio that included actress/singer Grace Jones, Tony Award winner Ernestine Jackson, and A Chorus Line original cast member, Donna Drake. Past and present students from his New Jersey studio include Tyler Grady, a 2010 American Idol Top 24 semifinalist; Jennifer Piech, who created the role of "Kate McGowan" in the Broadway musical, Titanic; Claire Norden, "Baby June" in the 2008 Gypsy National Tour; members of "The Fabulous Greaseband" and "Grey Eye Glances"; Kristen Alderson, who played "Starr" on the ABC-TV soap opera, One Life to Live; and Integrity Music recording artist, Paul Baloche. 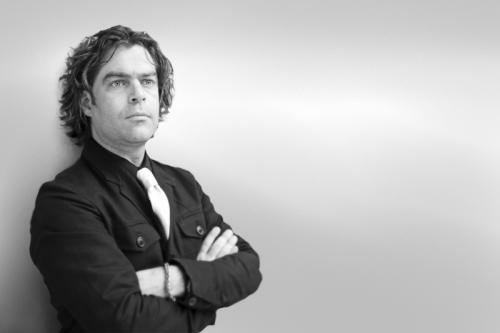 Gary Osborne is the founder and inventor of Lampifier Microphones. Lampifier Microphones feature a unique, build in compression solution that uses light as its medium. 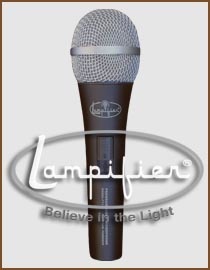 Lampifier microphones are great microphones and offer an interesting and unique solution to compression for singers. With over 25 years of experience, John Henny is regarded as a leading vocal coach in the music industry and as a true teacher of teachers. John’s techniques not only keep the voice healthy, they also improve the overall sound, help eliminate cracks in the voice and extend the singer’s range allowing the singer to express themselves vocally without limitation. John Henny has lectured at prestigious colleges and institutes such as USC, Paul McCartney’s Liverpool Institute of the Arts and The Academy of Contemporary Music in England. He is also a Master Teacher for vocal coaches all over the world, including his annual teaching engagements in Europe, Australia and New Zealand. Ingo R. Titze is a vocal scientist and executive director of the National Center for Voice and Speech at the University of Utah in Salt Lake City. He is a professor at the Department of Communication Sciences and Disorders at the University of Iowa and has written several books relating to the human voice. He is considered to be one of the world's leading experts on vocal research. Joanna released six solo albums between 1973 and 1997; her first album, The Greatest Illusion (1973), has been re-released internationally. In 2000 she joined Pete Seeger and other folk luminaries on "Folksongs of the Catskills," an ensemble CD later featured at the Library of Congress. She organized the first panel on Health Issues for folk performers, at the 1992 Folk Alliance Conference, and has won numersous singing and songwriting awards. Joanna studied voice with Ellalou Dimmock, Natalie Lemonick, and Jan Pederson. She holds a BA in Drama from the University of Washington, an MFA in Acting from CalArts, and an MS in Communication Disorders and Sciences from CSUN. 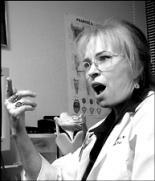 In 2006 she was certified by Catherine Fitzmaurice as an Associate Teacher of Fitzmaurice Voicework. In addition to her expertise in voice, Joanna is an advanced practitioner of the Reiki and Theta healing systems, and a longtime student of yoga, meditation, and bodywork. These tools are integrated into her voice and speech services according to the individual's interest and needs. Peter Freedman is the founder of RØDE Microphones, an Australian-based designer and manufacturer of microphones, related accessories and audio software. Its products are used in studio and location sound recording as well as live sound reinforcement. Steve Fraser is a noted expert on vowel modification, phonetics and formants for singing. 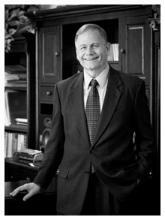 Mr. Fraser is a recognized expert in the analysis of spectrograph analysis of singing. A spectrogram is a a time-varying spectral representation (forming an image) that shows how the spectral density of a signal varies with time. In the field of Time-Frequency Signal Processing, it is one of the most popular quadratic Time-Frequency Distribution that represents a signal in a joint time-frequency domain and that has the property of being positive. Mr. Fraser has a Bachelor’s in Vocal Music Education from Millikin University, and a Master’s in Choral Conducting from Washington University in St. Louis. Mr Fraser is also an active member at The Modern Vocalist World Forum.